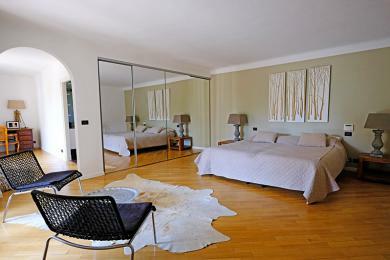 Luxury holiday villas in Antibes. Luxury detached villa with private pool on the Cap d'Antibes, Côte d'Azur. The villa is very conveniently located on the beautiful Cap. You can walk to the beach; Plage Keller has been a household name for decades. Antibes and Juan Les Pins can also be reached by foot. The villa sleeps up to 8 guests.